What is a door spring? What closer do I need on my door? Where can I buy parts from? The aim of this site, is to help you identify the most common door closing systems in an easy and understandable format. Please use links listed for further information. 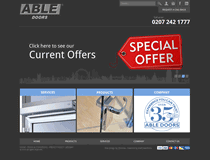 Web Design by Mike Wintersgill © Door Closer Repairs 2009 - 2019.